Hoogerhyde Safe understands the importance of every minute you are locked out of your business. Our locksmiths will arrive promptly and make sure not to damage your doors or locks in the process of unlocking your business. Whether it’s a lever set, deadbolt, mortise lock, keypad or push-button lock, we can help you get back to business. Commercial lockout service is available during regular business hours, and occasionally after-hours and on weekends, throughout Grand Rapids and West Michigan. Call us at (616) 458-6365. If you are locked out of your house, call us at (616) 458-6365. 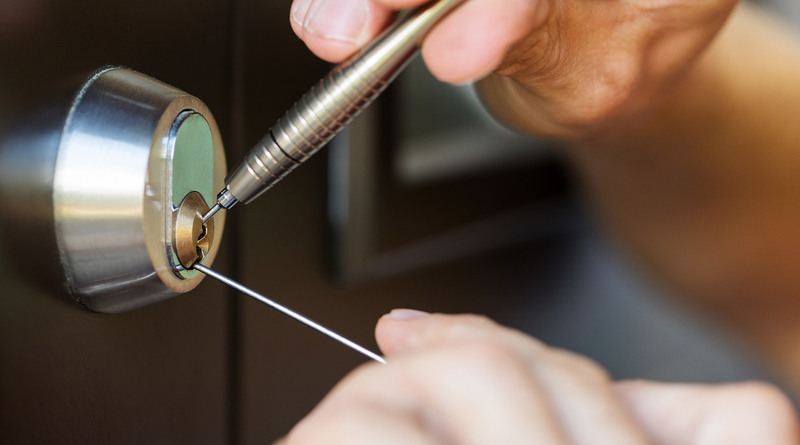 Our locksmiths will unlock your door without causing damage to your door or lock. Whether you need assistance unlocking a knob set, deadbolt or push-button lock, we are your best call. We can usually make a key if yours is lost, but you should have us rekey your locks after keys are lost – they may have actually been stolen or picked up by a burglar who wants to enter your home when you are gone. Residential lockout services are available during regular business hours in the greater Grand Rapids area. Locked out of your car, truck, van, or other vehicle? Hoogerhyde’s trusted locksmiths can quickly get your vehicle unlocked so you can get on with your day. We can help with almost all models. Automotive lockout services are available during regular business hours in the greater Grand Rapids area.